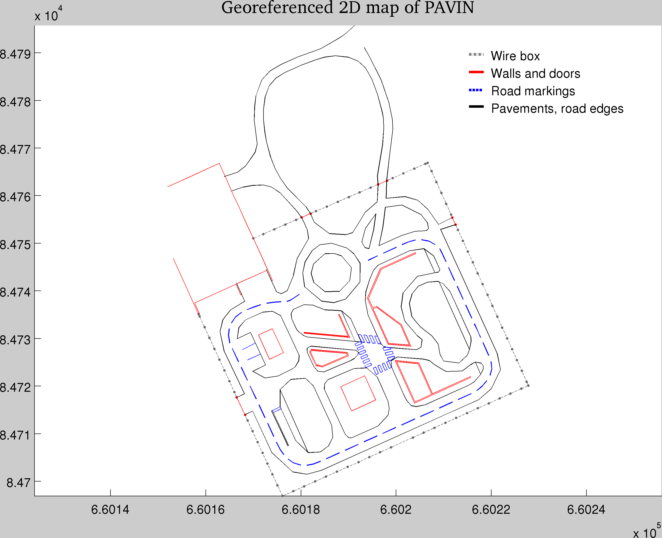 A 2D map of PAVIN, extracted from the topographical plan of land surveyors is available under the form of 2D georeferenced points, grouped by elements of the environment (walls, road boardes, buildings ...). We are currently in discussion with legal experts to see if it is possible to provide the 3D model of PAVIN we have. 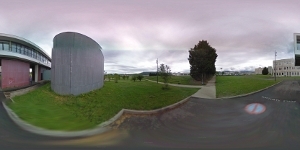 The file GeoreferencedImagesList.txt contains a list of Google Street View panorama ids with their georeferenced positions. Those data can be used as a priori data for the Cézeaux workspace. the image filename that will be downloaded (name). Images are saved in .jpeg. zoom is the zoom level (this level is equal to 3 for all images for our environment). With such a zoom level, the image resolution of the panorama is 3328x1664 pixels. pano_yaw (denotes the angle between vehicle front and the north), tilt_yaw and tilt_pitch (denotes how the vehicle tilts due to road slope) are expressed in degrees. 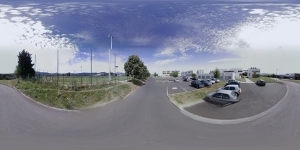 The panoramas can be downloaded using the application StreetViewImagesDownloader. 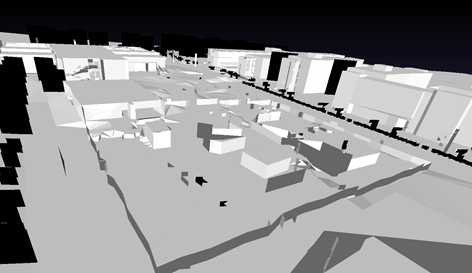 Those images can be used for instance to georeference a topological map built using the images from the catadioptric camera.